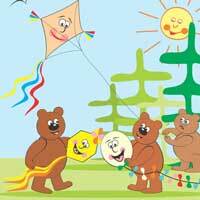 This bear family is out on a windy, spring day to do what bears do best, fly some kites! Now you should do what you do best and spot the differences. There are ten in all. How long will it take you to find them? Download and print this free PDF to start the hunt!